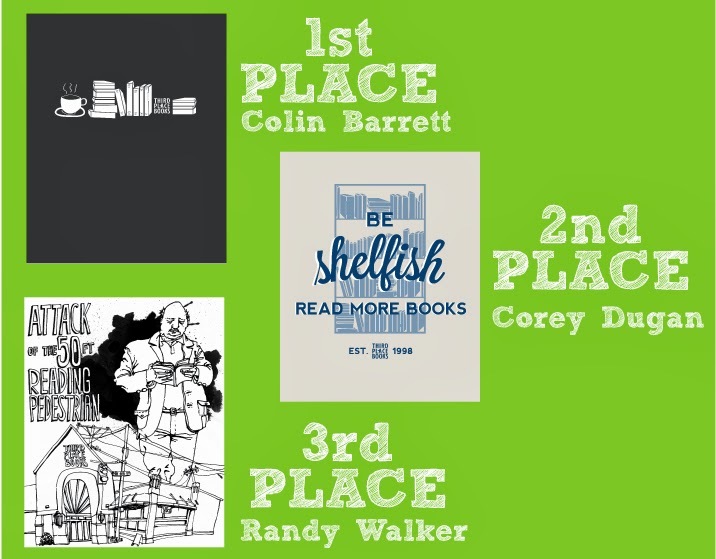 Earlier this fall Third Place Books launched a T-Shirt design contest, calling for submissions from the community. According to Third Place Books managers, "We got a lot of great submissions and have chosen the winners!" Above are the images of the 1st, 2nd and 3rd place winners. First and Second will have t-shirts and possibly mugs made out of their designs. 3rd place will be made into an original poster and displayed in-store. All of the submissions will be displayed next week at our LFP branch info desk! T-shirts will be produced and hopefully in the store in December.